What is a 20,000 yen Burger Made of? 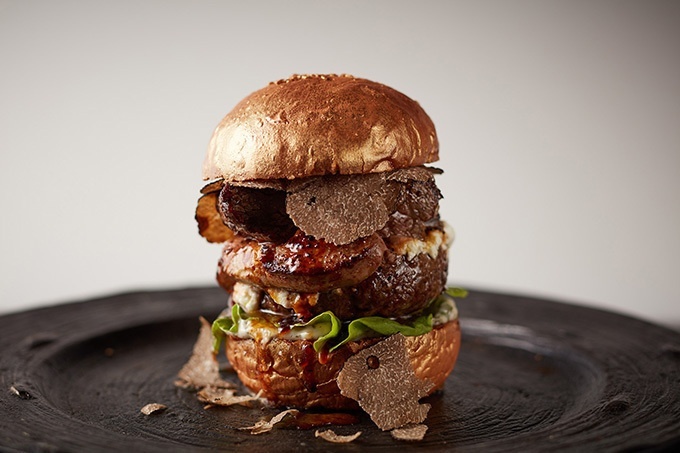 This luxurious hamburger is made with golden buns, black truffles, foie gras, Japanese tenderloin beef on top of a beef patty!!! Also, it is served with french fries that have been fried in duck fat!